Help your ticket sales climb the Duquesne Incline when you advertise your next Steel City event in advance with Pittsburgh Posters. 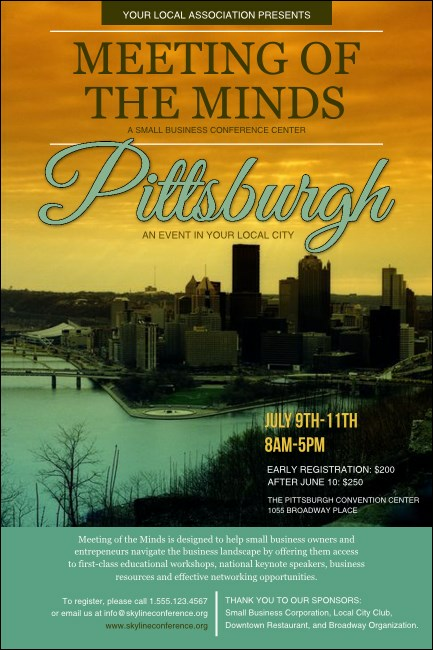 These incredible Posters feature room for twenty-one lines of text for all your event details on a pretty pastel background that includes the image of Pittsburgh’s skyline at sunset. Bridge your advertising connection at TicketPrinting.com.